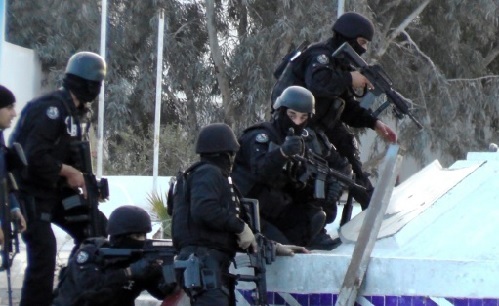 Algerian counter-terrorism troops arrested on Sunday four individuals suspected of providing support to terrorists in the province of Batna, 400 km southeast of Algiers, Defense Ministry said in a statement on Monday. The source specified that the four suspects were arrested after the exploitation of accurate intelligence by counter-terrorism troops. Later last month, a wide-scale counter-terrorism operation was conducted in the eastern region of Algeria, as six militants were killed and seven others arrested including five women. Several individuals were also arrested suspected of providing support to terrorist groups. A few militants affiliated to al-Qaida in the Islamic Maghreb (AQIM) and recently established Daesh affiliate groups are still taking refuge in the dense woods in the north, and remote desert areas near the troubled Libya and Mali.